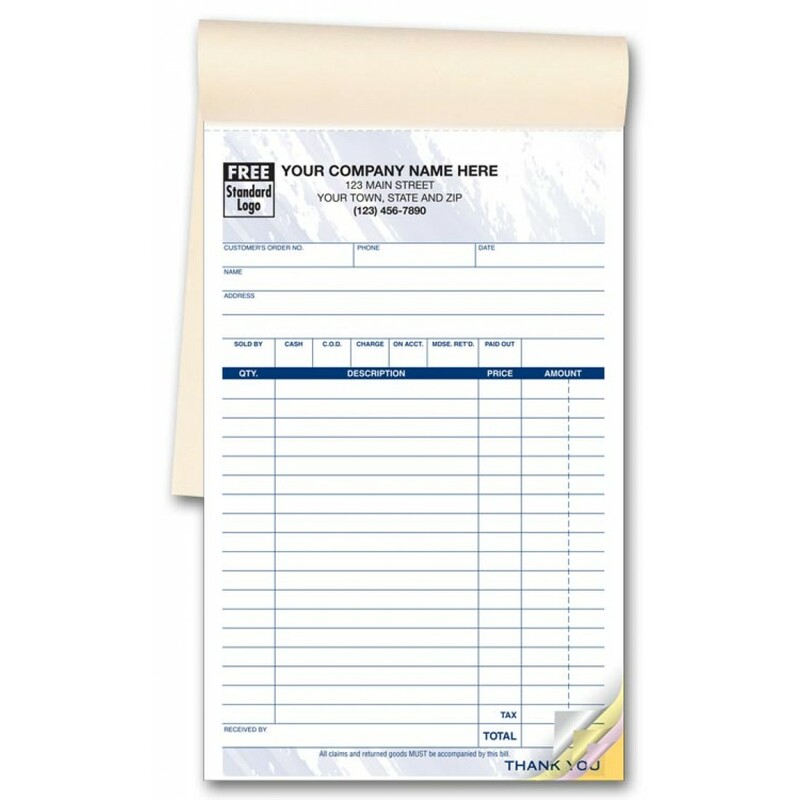 Carbonless Colored Sales Forms Booked 55T At Print EZ. Carbonless Colored Sales Forms Booked Item No. 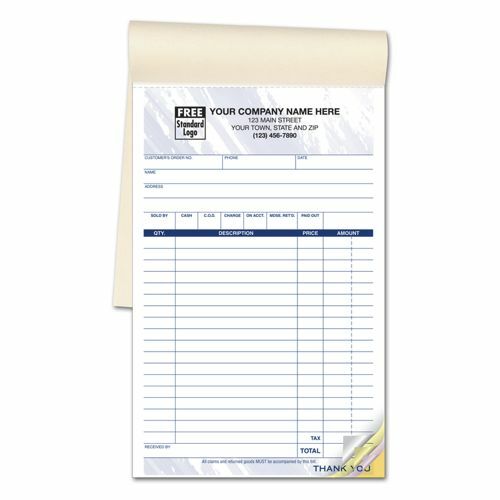 55T Size: 5 1/2" x 8 1/2"
Convenience, style and professionalism, all have been combined to create these carbonless colored sales forms booked items. The color choice between blue, green and burgundy will allow you to segregate the sales books of the different departments with great ease. When it comes to referencing, these books are the ideal choice. The copy stays intact in the book and the free consecutive numbering ensures that you find the copy that you are looking for without any hassle at all. Have your company logo printed on high quality NCR paper in a typestyle that you desire, so that you are able to maintain uniformity in company branding at no extra cost. The product was excellent and the shipping was quick. The ordering process was not as great. order came in as ordered and cost less than most print companies. We have been using Print EZ for quite awhile now and have been extremely happy with the quality of work. Very nice product. Just what I needed for my Nursery. Very easy reorder process, love the quality.